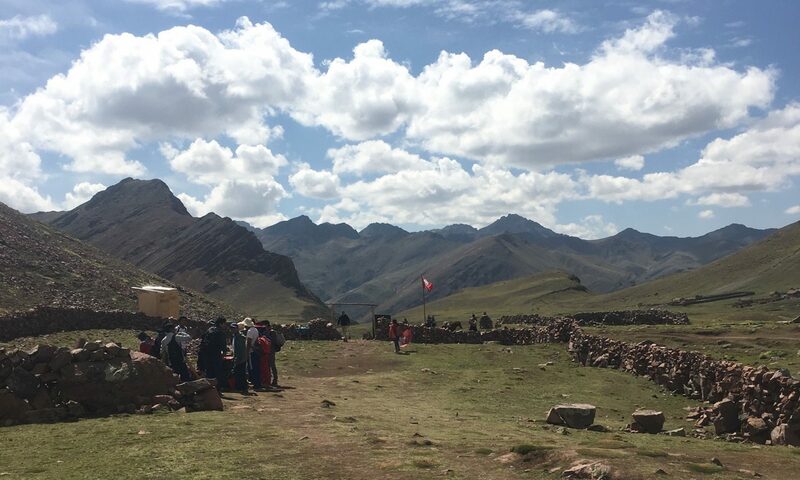 For those of you just tuning in, FBT is a PCA (Peace Corps Acronym) for “Field Based Training.” It is also the entirety (plus one day more) of Week Four of PST for Peru 31. Picture a lush and sweeping Andean landscape – and at the base of an unforgiving precipice is a muddied run-off alpine river. Sugarcane crops outside Trujillo, La Libertad. 172km from Huamachuco. Continue ongoing language training and immersion in preparation for Week Five’s LPI (Language Proficiency Interview). Trainees need to meet or exceed Intermediate Mid to swear-in as a PC volunteer. Force trainees talk to strangers in the street to “simulate” the excruciating pain and embarrassment of trying to find and work with new partners (socios) at site. (Ex. Approaching locals trying to enjoy the sun in the plaza to help you with your Spanish homework, such as “Excuse me. Good morning. Can you show me how to play Marbles?”) As one might be expected to do in “real life” at site. Trainees may develop many new, loudly silent, facial scowl skills. Feed them ice cream before they mutiny. Break any aspirantes remaining habits of having any version of emotional attachment, preparedness, courteous professionalism, or expectations for weeks five, six, seven… through Week 118. Travel: Double-decker, 180-degree massage chair sleeper bus. Not a terrible way to get through ten to twelve hours of travel from capital cities, Lima to Trujillo. In Trujillo, the 22 person CED group split into two vans. Group #1 went to balmy “foothills” of Tembladera in Cajamarca and Group #2 headed east up up up around up into big mountains and wet cold. We arrived to Huamachuco in the late afternoon, unpacked in our hostel rooms, and continued to work on our lesson plans for the week. Meet for group breakfast at local café at 7am. Language class from 8-10am. Visit local potential business partners such as municipality, directors of education, local colegios (primary and secondary schools) artisans, technical schools, etc.. An hour for additional prep time to make papelotes (think old school analog version of power point on brown paper sheets). Group lunch (ensalada, chifa y arroz) from 12-1, more presentations, and teach students from 2:30-5:30. Debrief until 6:30, go back to hostel and prep for the next day’s three-hour class. Figure out dinner somewhere in town. Or eat all the cookies you accidentally added to your bag before leaving class. that grew to 22 on Tuesday and then shrunk back down to 18 on days three and four. At one point I looked at Preston with sky-high eyebrows asking him to translate one student’s thorough response to a question and Preston just said “I have no idea, I just said ‘Yes. '” Eso. And we team-exhaled and moved on. Truth: After three weeks of training I did not feel anywhere near prepared or ready to teach a week-long technical class in Spanish, let alone to teenagers. I felt forced to make a very deliberate internal decision to let go of any hope or expectation I would have any glimmer of success or satisfaction from competency. Fine. Throw me off the cliff. Count the bones. Yet the short version of a rigorous, emotionally whiplashing week, is that the moment I sat down with one of our student groups at the bank, I got it. I got the reason why we were forced into (again, my perspective, my choice of words here, my learning) this horrifically uncomfortable situation, often resentful I didn’t feel supported or set up for success. For me, it was first about what and how I wanted to teach (expectations further amplified in English) versus what I am currently capable of to do. But it turns out it wasn’t about me. It had nothing to do with if I feel / am ready. It has nothing to do with how well I spoke to a class of “scary” teenage students. Surprisingly, it even has little -to-nothing to do with how well I understood the workshop content. It had everything to do with what happened on Thursday. In this business workshop, our students created one-day-business ideas to execute for two hours on a Thursday in their community. Wednesday, when they sat down to apply for a loan, they understood the components of their 12-page business plans (executive summary, community needs/solutions, competition, financial analysis, marketing, and loan-sequencing) and answered the banker’s questions. They received their loans (about $10 worth of US currency in Soles) and coordinated with their groups, went shopping, made their products, made signs, and traveled the mercado, plaza, and schools for customers. We found them in the market. We asked them about their products. We asked how much they had left. We asked about the point of equilibrium and how much more they had to go to return the loan at 2%. We asked them to pose for photos we will carry into our future sites. The look on each of their faces (and their bright, bright lights) when they returned to school after successfully selling and re-paying their loans changed the narrative I was dragging around. I am pretty sure these students aren’t going to remember our grammar. After trying to explain April Fool’s on Easter, I skipped mentioning Friday the Thirteenth. We returned via van to Trujillo and reunited with the other CED group Thursday night at a hotel with hot water and a roof terrace. Stay tuned for the results of Week Five where Thursday I have my LPI (results likely not instantaneous) and we find out where we are placed for the next two years. It is interesting to see the similarities and differences between FBTs. Especially between programs. It looked like a rewarding struggle just like me. During mine, I was battling stomach issues and on a 15 minute timer for bathroom breaks. This was not ideal for facilitating classroom sessions.